Experience the beautiful San Juan Islands, as they were meant to be seen - by sea. We put an emphasis on adventure, learning, and relaxing. We are dedicated to bringing you memories that will last a lifetime. 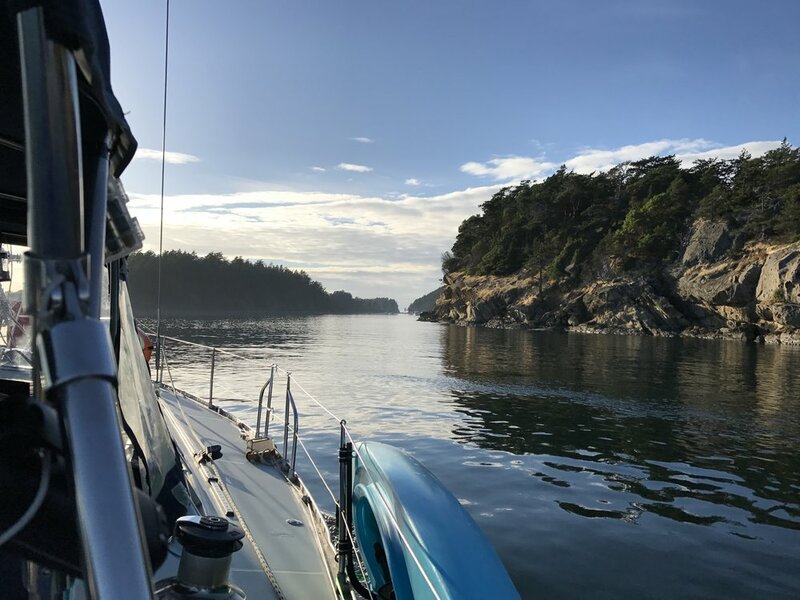 Relax in the spectacular Pacific Northwest aboard Hopscotch, our beautiful 50' Beneteau sailboat. Trips are six to ten days in length. We offer two options for chartering. Each day brings a new experience. You might hike, walk, kayak, crab, fish, shop, read, or just stay on board and unwind. We stop at a new island or cove every day so your experiences are changing daily.